The Umayyad Caliphate (Arabic: بنو أمية‎, Banu Umayyah) was the second of the four Islamic caliphates established after the death of Muhammad. It was ruled by the Umayyad dynasty, whose name derives from Umayya ibn Abd Shams, the great-grandfather of the first Umayyad caliph. Although the Umayyad family originally came from the city of Mecca, Damascus was the capital of their Caliphate. Eventually, they would become the 6th largest contiguous empire to ever exist. 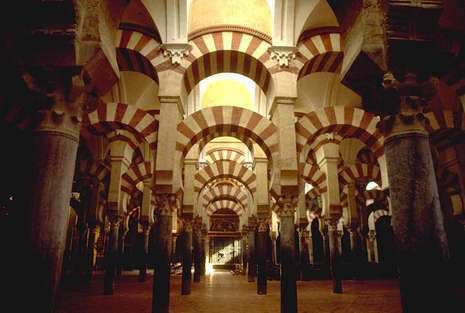 After the Umayyads were overthrown by the Abbasid Caliphate, they relocated to Al-Andalus, where they established the Caliphate of Córdoba. A caliphate is the Islamic form of government representing the political unity and leadership of the Muslim world. 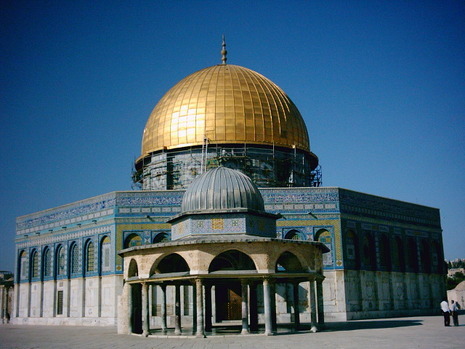 The Caliph's position is based on the notion of a successor to Muhammad's political authority. According to Sunnis, a Caliph can be any pious muslim who is elected by the Muslims or their representatives; and according to Shia Islam, an Imam descended in a line from the Ahl al-Bayt. The Umayyads established the largest Arab-Muslim state in history. 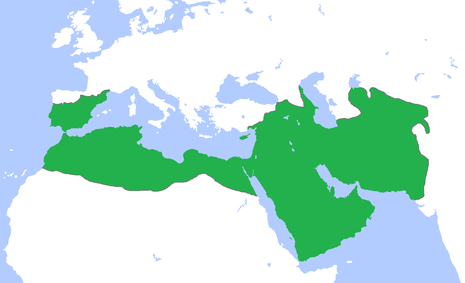 From the time of prophet Muhammad until 1924, successive and contemporary caliphates were held by various dynasties, including the Rashidun Caliphate of the first four caliphs after Muhammad, the Umayyads based in Damascus and Córdoba, the Abbasids based in Baghdad, the Fatimids based in Cairo, and finally the Turkish Ottoman Empire based in Istanbul.